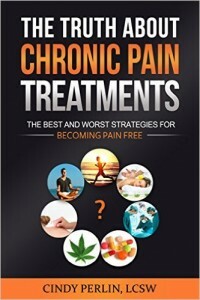 A well researched and unbiased book/resource by Cindy Perlin for people in chronic pain that are not getting adequate relief from their treatment. The book is evidence-based and examines 14 different categories of treatment (including Photobiomodulation – LLLT). The Truth About Chronic Pain Treatments reviews the evidence for the safety and effectiveness of a wide variety of treatments, and reveals how organized medicine may be keeping you from getting the care you need and deserve. American Physical Therapy Association (APTA) Clinical Guidelines recommend Low Level Laser Therapy (LLLT) for Achilles tendinopathies. The report says “Clinicians should consider the use of low level laser therapy to decrease pain and stiffness in patients with Achilles tendinopathy.” Hooray, it’s only been 20 years since Chukuka Enwemeka first published his tendinopathy research. It is unfortunate that the guidelines neglected to comment on the importance of treatment parameters, they incorrectly describe energy as “intensity” and failed to mention Tumilty’s systematic review which found that 55% of LLLT tendinopathy studies failed due to incorrect power density and / or energy delivered.